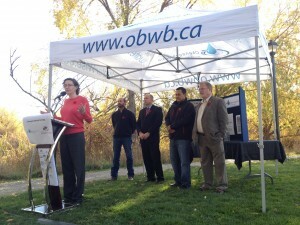 The Okanagan Wetlands Strategy is a three-phase effort to re-establish wetland ecosystems. Wetlands are areas that hold water either temporarily or permanently. Some types of wetlands are sloughs, ponds, marshes, swamps and bogs. They are rare habitats in the dry Okanagan but they are home to diverse plants and animals and are an important source for food, freshwater, flood protection and erosion control. Unfortunately, wetlands have been lost or impacted by urban development, agriculture, forestry, encroachment of invasive species and climate change. Wetlands represent about 0.2% of the regional landscape, but it is estimated that 84% of low elevation wetlands in the Okanagan and lower Similkameen valleys were lost between 1800 and 2003. A second study of low elevation wetlands in the Okanagan Basin indicates a 38% loss of wetlands between 1988 and 2010. Phase 1 of the project was completed by Ecoscape Environmental Consultants and focused on outreach, data collection, prioritization, and mapping. 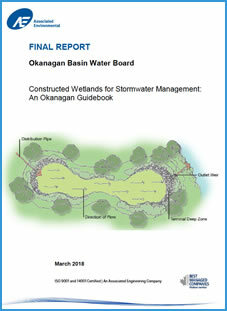 The project summarized existing wetland information from throughout the three regional districts of the Okanagan region. During Phase 2, the OBWB is working with many partners to establish long-term data management and sharing for the Okanagan region and working on multiple on-the-ground wetlands projects. Phase 3 will also focus on writing an Okanagan Wetlands Strategy document. The Okanagan Habitat Atlas is a web-based mapping tool that brings together a variety of information about natural and cultural attributes and resources of the Okanagan Basin. The Okanagan Basin Water Board’s partners include the Okanagan Nation Alliance, BC Wildlife Federation, the Regional Districts of North and Central Okanagan and Okanagan-Similkameen, South Okanagan Similkameen Conservation Program, Okanagan Collaborative Conservation Program, Okanagan Similkameen Stewardship Society, UBC Okanagan, and many others. 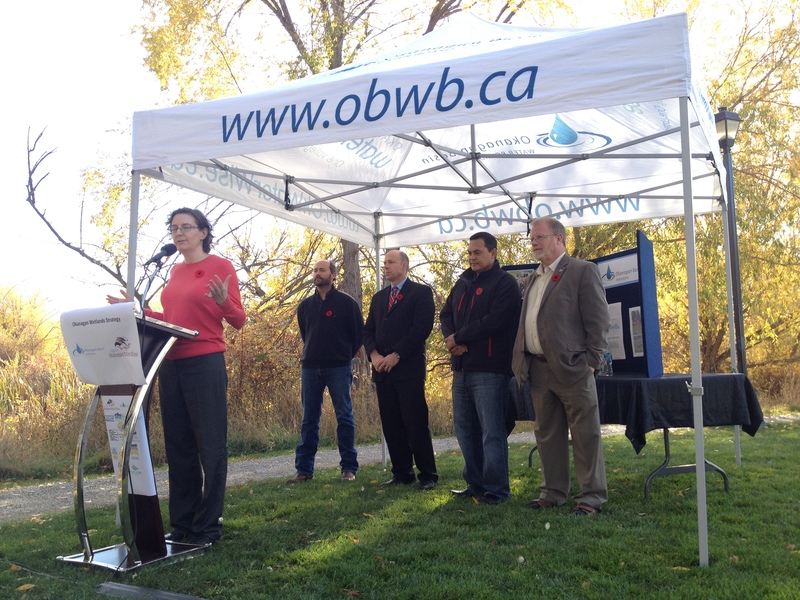 OBWB and Okanagan Nation Alliance (ONA) joint news conference at Fascieux Creek Wetland in Kelowna, welcoming new funding from Environment Canada towards Phase 2 of the Okanagan Wetlands Strategy project and some significant additional work by the ONA.